We’ve looked at unique taxis around the world in a previous blog post, but today we’re going a step further: taxis that, to us in Australia, just seem weird. Somewhat wonderful in some cases, but nonetheless weird! 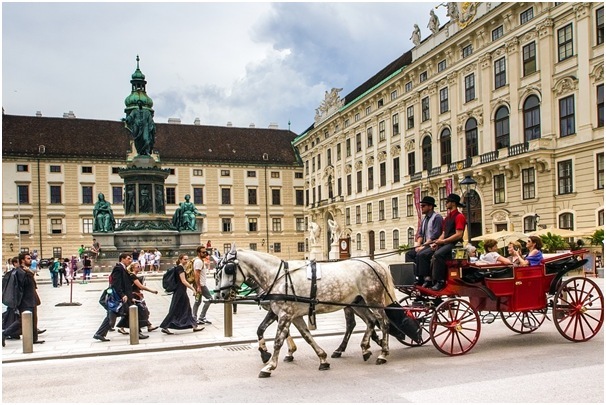 This Vienna taxi nods to the history of the Austrian city. Fiakers are horse drawn carriages, and their history dates back to the 1500s. A permanent Vienna tradition, Fiakers are most popular for romantic couple rides. Passengers can request a “porcelain ride”; this is smoother and more gentle, harking back to when this mode of transport was used to ship precious porcelain between cities. It looks just like any other large Dublin taxi cab from the outside; inside however it’s a discotheque. Known as Anto’s Disco Taxi, it’s perfect for heading out to party – it’s loud, colourful, seats up to eight passengers, and it books up fast on weekends. Kawaii means “cute” in Japanese. 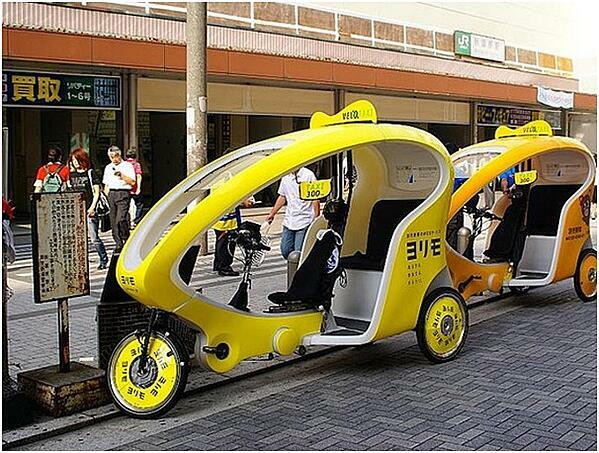 Kawaii Taxis are very cute, and powered by pedals. You’ll find these in Tokyo’s Akihabara, a hub for all things geeky and electronic. They seat only two passengers. 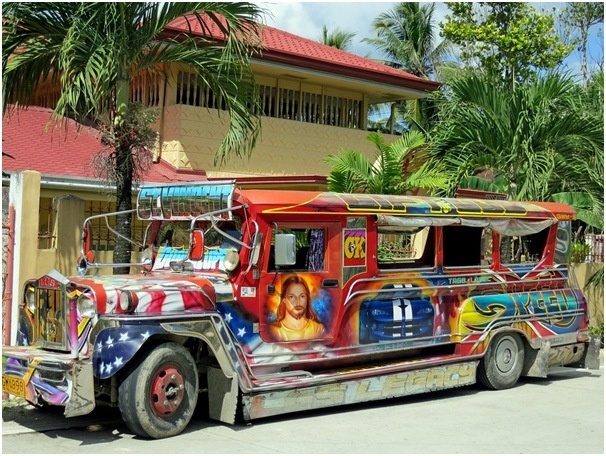 For more than sixty years, Jeepneys have been the public transport of choice in Manila. They were originally Willys Jeeps which American soldiers left behind at the end of World War II. Filipinos cleverly recycled them into small taxi-buses with long benches to seat up to twenty passengers (though often they squeeze in many more). 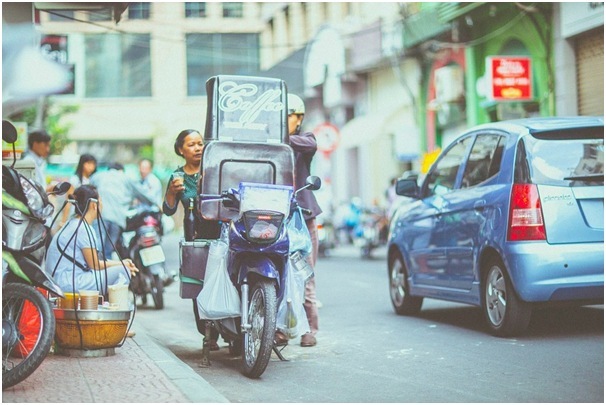 Colourful, most are adorned with religious images, and while they are supposed to make designated stops, many will stop whenever they are hailed or if a passenger wants to alight. Like a cross between a bus and a taxi, rides are quite cheap and speed of journey depends on how many passengers are onboard. St Petersburg, like Venice, is a city built on a canal system and the Neva River. EX-army amphibious vehicles are now being used as unique taxis in the city. Today painted red and pink so as not to cause alarm and to be instantly recognisable as a taxi; these vehicles were originally used for all-terrain scouting missions. They retain their roof-mounted guns, and can traverse streets as well as waterways. They are popular and practical! In snowy climates, sometimes a regular taxi cab will just not do. Nor will a bus. JVB, a Norwegian transport company, operates taxi rides via Bombadier Snowmobiles between Tyin and Eidsbugarden as well as in a ski resort during the snowy season. The snowmobiles transport hikers, tourists, and locals, and were built in Canada between 1940 and 1970.